Historic Jamestown is the site of the first permanent English settlement in North America and represents the very foundations of whom and what we are as a people and a nation. Although there were other European settlements in America before Jamestown, our language, the majority of our customs and our laws come from our English ancestry. Jamestown is the beginning of America. 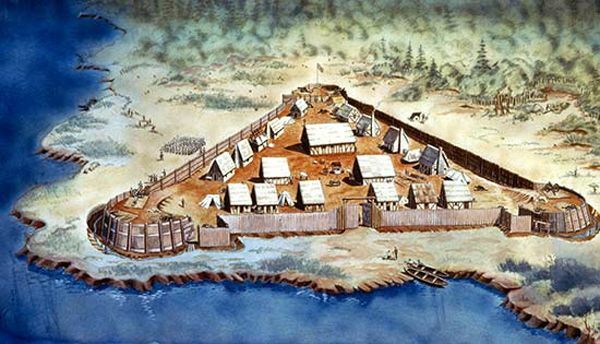 Long before the English or any of Europeans arrived, Native Americans occupied the continent for many thousands of years and archeological evidence indicates that they utilized the Jamestown region for over 10,000 years. England was a latecomer to the American scene as far as exploration. North America had been explored as early as the 10th century by the Vikings, followed by Christopher Columbus in 1492, and numerous others. The first attempt at settlement by the English was the fabled lost colony of Roanoke in 1587. 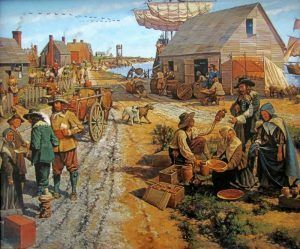 Twenty years later, in 1607, through a joint venture company known as the Virginia Company, England would establish her first permanent colony called Jamestown. It all began on December 6, 1606, when three ships: the Susan Constant, the Godspeed, and the Discovery left England bound for America. 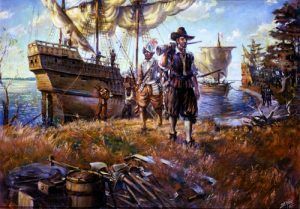 In early 1607, 104 English men and boys arrived in North America and began to search for a place to start a settlement. On May 13, 1607, they chose Jamestown, Virginia, which was named after their King, James I. The settlement became the first permanent English settlement in North America. The site for Jamestown was picked for several reasons, all of which met criteria that the Virginia Company, who funded the settlement, said to follow. The site was surrounded by water on three sides (it was not fully an island yet) and was far inland; both of which meant it was easily defensible against possible Spanish attacks. The water was also deep enough that the English could tie their ships at the shoreline, and at the time, the site was not inhabited by Native Americans. Once the spot was chosen, the instructions sent by the Virginia Company, which included a list of the council members chosen by the company, was read. The names had been kept in sealed boxes on the ships, not to be read until a site was chosen. The first President of the new Virginia colony was to be Captain Edward Maria Winfield and the other six council members included Bartholomew Gosnold, Christopher Newport, John Martin, John Ratcliffe, George Kendall, and Captain John Smith. By June 15th a fort was completed. It was triangle shaped with a bulwark at each corner, holding four or five pieces of artillery. The settlers were now protected against any attacks that might occur from the local Powhatan Indians, whose hunting land they were living on. 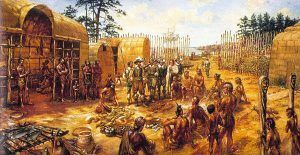 Prior to the Jamestown immigrants’ arrival, relations had already been mixed between the newcomers and the Powhatan Indians. On June 22nd, Captain Christopher Newport left for England to get more supplies for the new settlement. The triangular fort at the Jamestown colony. When the new settlers first arrived, they had been greeted by friendly Indians who had provided them with lavish feasts and supplies of maize. However, as the English, lacking the inclination to grow their own food, became hungry, they began to strong-arm the natives for more and more supplies. This immediately caused relations to deteriorate and eventually led to conflict. Not long after the Captain had sailed, the settlers began to succumb to a variety of diseases. They were drinking water from the salty or slimy river, which caused the death of many. The death toll was high with the men dying from swellings, malaria, fever, famine, and sometimes, in altercations with the Indians. Food was running low, even though Chief Powhatan had started to send gifts of food to help the English. If not for the Powhatan Indians help in the early years, the settlement would most likely have failed. By late 1609, the relationship between the Powhatan Indians and the English had soured as the English were demanding too much food during a drought. 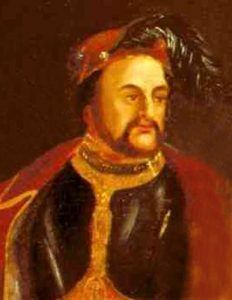 The winter of 1609-10 became known as the “Starving Time” and the English had become afraid to leave the fort, fearful they would be killed by Indians. As a result, they ate anything they could including various animals, leather from their shoes and belts, and even resorting to cannibalism after their fellow settlers died. By early 1610 most of the Jamestown immigrants, estimated at 80-90%, had died due to starvation and disease. In May 1610, shipwrecked settlers who had been stranded in Bermuda finally arrived at Jamestown. Part of a fleet sent the previous fall, the survivors used two boats built on Bermuda to get to Jamestown. 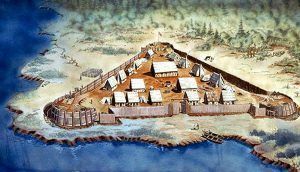 Sir Thomas Gates, the newly named governor, found Jamestown in shambles with the palisades of the fort torn down, gates off their hinges, and food stores almost non-existent. The decision was made to abandon the settlement. Less than a day after leaving, however, Gates and the Jamestown survivors were met by news of an incoming fleet. The fleet was bringing their new governor, Lord Delaware, and the men returned to Jamestown. In 1612, John Rolfe, one of many shipwrecked on Bermuda, helped turn the settlement into a profitable venture. He introduced a new strain of tobacco from seeds that he brought and tobacco became the long-awaited cash crop for the Virginia Company, who wanted to make money off their investment in Jamestown. On July 30, 1619, newly appointed Governor Yeardley called for the first representative legislative assembly. This was the beginning of representative government in what would become the United States of America. In that same year, the first documented Africans were brought to Virginia on a privateer Dutch ship. Some 20 Africans were traded by the Dutch for food stores from the English. These slaves provided the needed human resources for the labor-intensive tobacco.